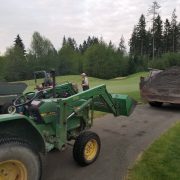 Aerification and topdressing are seen as negatives by most golfers but they are vital to maintaining healthy turf and creating the best possible playing conditions. 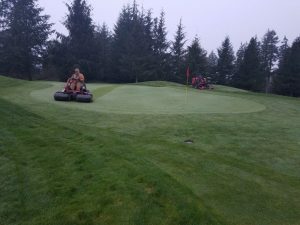 We will look at what it takes to achieve both of these practices as well as the benefits both provide to the turf. 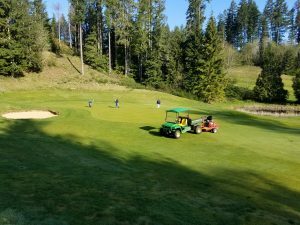 Aerification can be a time-consuming practice, however, when done the right way we can achieve it with little to no interference with the golfers. We use two Toro Procore 648 machines to aerify our tees, approaches, and greens. We aerify our tees and approaches once a year with half inch side eject hollow tines. When aerifing our greens we use multiple sizes of tines depending on the time of year, weather, and what we are trying to accomplish. 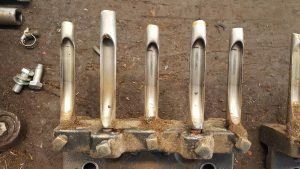 In the fall, we use half inch side eject hollow tines as our goal is to remove organic matter from the profile and replace it with sand. This also helps our greens drain well throughout the winter. In the spring, we use either three eighths of an inch side eject hollow tines or quarter inch solid needle tines. The benefit of the smaller tines in the spring is that they allow our greens to heal much quicker and therefore does not disrupt play for an extended period of time. Throughout the golf season we will vent our greens every four to six weeks depending on weather and play with the quarter inch solid tines. We follow this venting by rolling the disturbed greens so they are ready for play immediately. It is necessary to vent the greens regularly to help promote a healthy turf and in return a better playing surface. 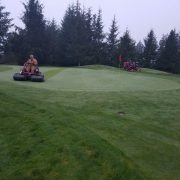 A few of the main reasons we aerify are to break up compaction, help with gas exchange, help with drainage, and remove organic matter and thatch from the profile. Since purchasing our Procore aerifiers, we have noticed a significant improvement in the depth of our roots. This is extremely important for many reasons, but mainly because now the plant can reach deeper for water. This allows us to dry the greens out when we need them to be more firm. 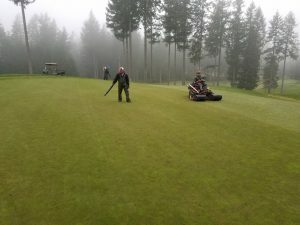 Topdressing is often seen as a poor maintenance practice by golfers, as they feel as though it is not allowing them to play on the best possible putting surfaces. However, this is a very common misconception. Our fall aerification requires a heavier application of sand to help fill in the larger holes. Whereas during the peak golf season we will apply a light dusting of sand to our greens every four weeks. Following the sanding we brush the sand in, then brush mow, and use sand reels to clean everything up. 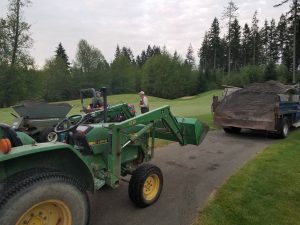 The benefits of topdressing are not just to fill in the areification holes but to provide a better playing surface for the duration of the year. The sand will smooth out the playing surface allowing for a smoother roll and will help with consistent and desired green speeds. 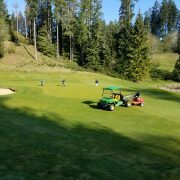 So, next time you see our amazing maintenance team out venting or topdressing the greens, thank them for making your Gold Mountain Golf Club your favorite place to golf! 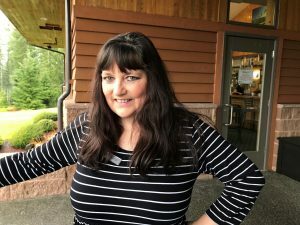 How Did the Courses Handle the Weather? 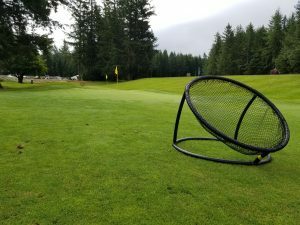 As the standard “peak” golf season comes closer to an end on the Kitsap Peninsula, let’s look back at course conditions during this pas season. 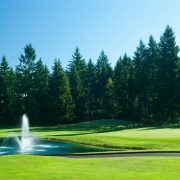 This will include green speed, water usage, and overall playability of the Olympic Course and the Cascade Course. 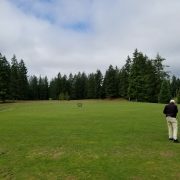 Green speed is always a hot topic when talking about golf courses and there are various factors that affect the speed of a green. When we watch major golf championships, we hear the commentators discussing the speed of the greens being 12.5 or 13+ on the stimpmeter (a device used to measure the speed of a green). 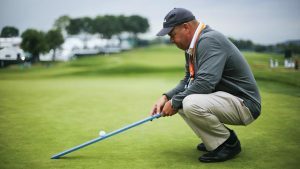 A USGA official uses a Stimpmeter to measure the speed of a green at Oakmont. 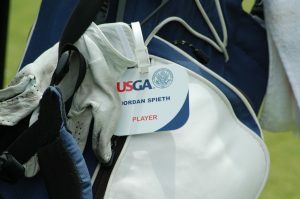 Courtesy of PGA.com. Keep in mind, those greens are being played by the best golfers in the world, and even they struggle with them! From personal experience working at U.S. Open Championship, those speeds are far too fast for the average golfer. However, those courses only keep those speeds up for the tournament they are hosting and then everything slows back down after said tournament. 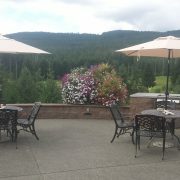 We at Gold Mountain, try to keep our green speed right around a 10.5 on the stimpmeter, we have found this to be a player-friendly pace, while still challenging for our golfers. Along with that, making sure all our greens are rolling consistently and smoothly is a top priority. For big tournaments, and when requested for certain events, we can easily get green speeds up to a 12 on the stimpmeter, then our golfers will really be getting a taste of what the professionals experience week in and week out. This golf season has seen a pretty remarkable drought of over 50 days in a row with no precipitation and over 70 days with moisture accumulations only reaching 0.10 inches. 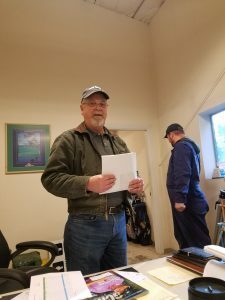 We have a weather station at our maintenance shop that measures a number of different things, but one key measurement it gives us in our evapotranspiration (ETs), which is the amount of water lost by a plant every day. The weather station then relays the ET information to our irrigation system, which then calibrates how long each sprinkler head on the course needs to run each night. We also can go in and manually adjust run times for certain areas of each golf course. Watering, however, is like walking a tight rope. It we over water, the course becomes saturated and playing conditions are not optimized. If we under water we can lose turf, and if not treated, those desiccated areas are likely to fill in the next season with weeds. 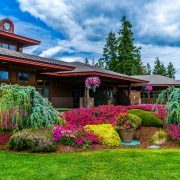 No irrigation system gives perfect coverage, only nature can take care of that; however, we are very fortunate that our irrigation system can keep up with our ever-changing climate. Considering the record rainfall, snow, and ice we had this last winter, and then the record drought we are still having this summer, both courses are performing very well. We had several greens buried under ice for up to six weeks last winter and have had extremely good success recovering them back to championship conditions in a relatively brief period of time. Then add on all the heat from this summer…needless to say we have invested a lot of time into trying to keep the course firm and fast by hand watering hot spots, or localized dry spots (LDS). 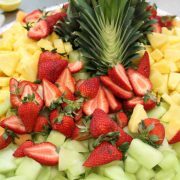 This allows us to not over water or under water in certain areas, while still providing a championship caliber product. 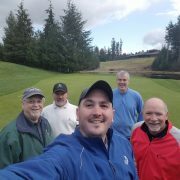 Overall, all areas of both courses are handling the crazy Pacific Northwest weather well. Our fairways are very firm, allowing golf balls to bounce and roll out nicely, giving you those extra few yards off the tea. Our greens are also firm, and provide a bit of a challenge with the way they receive and hold a ball on an approach shot. 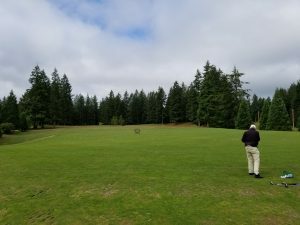 Both the Cascade Course and the Olympic Course are in great shape and will continue to be in this condition, now we just wait for some much-needed rain to liven up the courses! 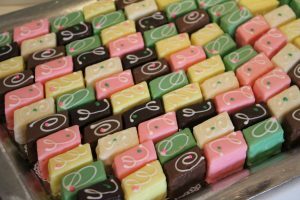 https://goldmountaingolf.com/wp-content/uploads/2017/08/20170420_062028.jpg 768 1024 teesnapdev https://goldmountaingolf.com/wp-content/uploads/2017/04/goldmt-logo_2Color_transparent-1-e1493064764505.png teesnapdev2017-09-05 17:56:312017-09-05 17:57:03How Did the Courses Handle the Weather?